specimens were introduced to the enthusiasts in Europe and the United States. At that time the limited resources for the transport of live specimens from the wild, made long distance travel a very traumatic experience for the fish. Some of these specimens would have been in drums for as long as several weeks. Very few of the fish imported particularly to Europe, survived this ordeal, and those that did soon died in captivity, either from disease or nervous disorders, clearly brought about by brain damage and stress from a lack of oxygen and toxin poisoning. It was as late as the 1960' s, folk and Aquarists started to become better informed about the species, and articles started to appear in journals. The airline connections by this time enabled fish to be transported far more easily from South American stations based in Iquitos in Peru, Leticia in Columbia and Manaus in Belem Brazil. With these such changes in transportation, the Europeans in particular, could clearly see the potential of these beautiful species and gathered breath before they started their quests into the Wilds and the unknown. This fish species natural habitat is very considerable in relation to the scale and size of some countries. South America I am pleased to say is still wild in many parts at this time, but under threat and such magnificence and beauty can never be replaced. The Discus fish species inhabits parts of Brazil, Peru, Columbia, Venezuela and where other wild life is found in abundance. To this day, there are many unanswered questions surrounding this fish species and a great deal of mystery surrounds them still. Sadly many of the reasons that prevent us from learning far more arise from financial constraints. However, we can draw many conclusions about the species natural environment. The Discus Heckel, when it is in condition, is the most attractive of all Discus varieties in the wild. It is one of the most convex shaped fish, like the Angel Fish (Pterophylium Scalare), which is also a member of the Cichlid family. Both these species' origin is South America. 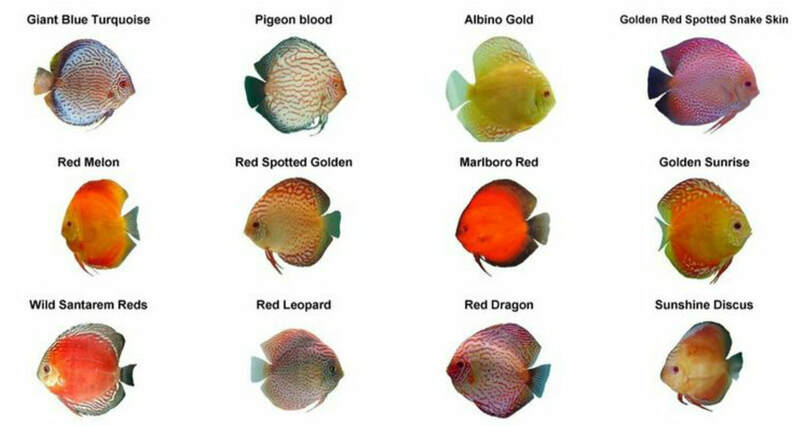 The fish's natural design is fascinating, for it shows similar characteristics to a flat fish, but swims vertically. The question may be asked, whether the species is a distant related member to the flat fish family. It is interesting to note that when the Discus is threatened by a predator in the wild, or showing panic or distress in captivity, the species will lie on its side. I have had wild-caught Discus sent to me in the past, that have lain flat on the bottom of the aquarium, for as many as three days, and the only movement made, being that of the species respiratory system and pectoral fin motion. 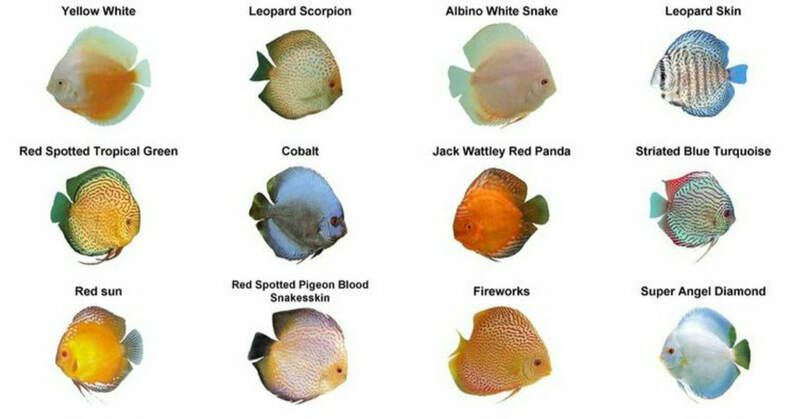 The fish species shape enables the Discus to be very agile and to move very quickly in and around tree roots, small pools, streams and fast flowing water. 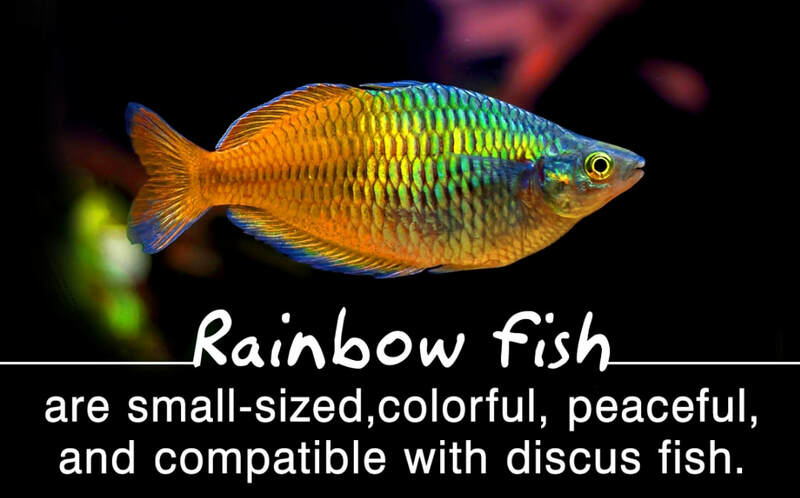 Discus fish species encounter many different chemical changes in their natural environment throughout the regions they inhabit, although I have read on many occasions that this environment is very stable with little or no change. This is an area that is given little discussion, and yet a crucial aspect because of the changes that take place in the natural environment, may create an inducement for the species to spawn and reproduce. Every part of this world in which we live is seasonal. The changing environment of the Discus in the wild indicates a time to spawn, a time to grow and a time to die. The Discus is recognised by the natives as an excellent fish to eat. This too is another interesting factor, as so many freshwater fish species are inedible. However, this use of the fish by the natives must be seasonal, as changing conditions throughout the year will affect the availability of the species to the fishermen. A fluctuation must take place throughout the year from the dry season to the rainy season.